Like millions of Canadians, Ryan Cheng has relied on a mix of family doctor appointments and walk-in clinic visits to manage his health. 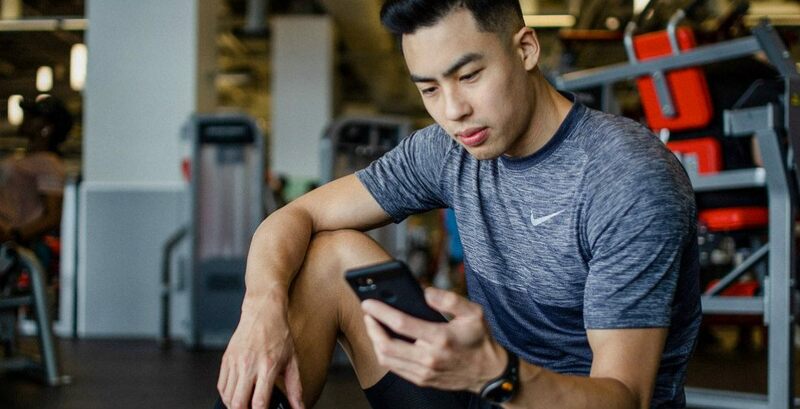 It’s a time-consuming strategy of care but until recently, Cheng, a Vancouver-based health and fitness vlogger and 2020 Olympic hopeful, didn’t have much choice because of his own busy schedule, and that of healthcare providers. It’s a familiar situation across the country. An estimated five million Canadians are without a regular family doctor and instead rely on a mixture of walk-in-clinics and emergency care, according to federal statistics. Millennials like Cheng, between 18 – 34 years, make up the majority in this group. Of those with doctors, less than half (43 per cent) can get same or next-day appointments. It’s why Cheng, a TELUS brand advocate, is so happy to be an early adopter of Babylon by TELUS Health, a new app that lets users check their symptoms and get health information and support through their smartphones. As a resident of British Columbia, Cheng is among the first in Canada to access the app’s one-on-one video feature, which lets patients talk directly with a locally licensed physician through a virtual consultation and get prescriptions or referrals to specialists when needed. Records of the virtual appointment can be sent to a family doctor at the patient’s consent and the video consultation is fully covered by the B.C. medical services plan. Canadians across the country who download the app for free on iTunes or GooglePlay can also use the app’s Artificial Intelligence (AI) chatbot Symptom Checker. Developed by a team of doctors and scientists, the AI tool asks users a series of questions and responds with informed feedback based on more than 500 million streams of medical data. The platform keeps a record of users’ chat histories and allows users to update their medical history, medications and allergies. If the user then needs to have a video consultation with a doctor, the chat can be reviewed by the doctor in advance, making the appointment more efficient. In launching the app, TELUS’ goal is to help reduce strain on healthcare resources across the country and provide patients with more options to access care outside of traditional clinic hours so they don’t have to go to hospital emergency rooms for non-emergency care. Several Canadian health studies suggest that virtual care helps people live healthier lives by making it easier for them to get the care and advice they need. After coming down with a cough recently, Cheng says he was able to use the symptom checker to narrow down the cause of his illness and found the process to be intuitive and simple. He then had a one-on-one video-conference appointment with a doctor the same day. “We got right down to what was happening with me and she was able to give me multiple options to deal with my cough,” he says. That he didn’t have to leave home to get the help he needed, quickly and conveniently, is particularly meaningful to Cheng given his packed schedule.